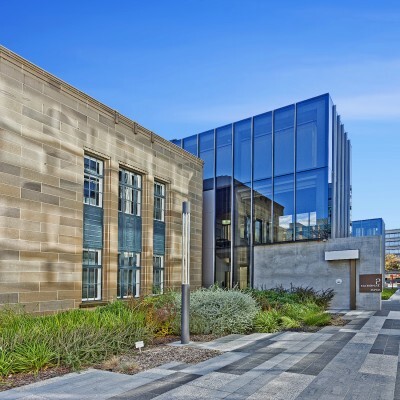 18 Marcus Clarke is an A Grade office building located on the south west side of the Canberra CBD. 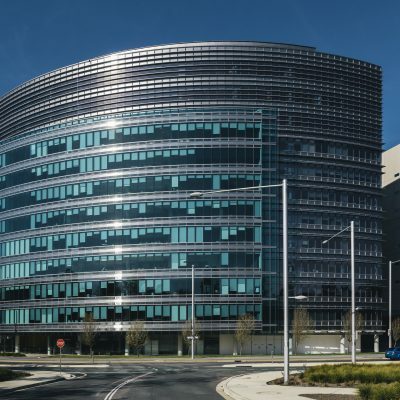 4 National Circuit is an A Grade, state-of-the-art office building located in the Barton office precinct of Canberra. 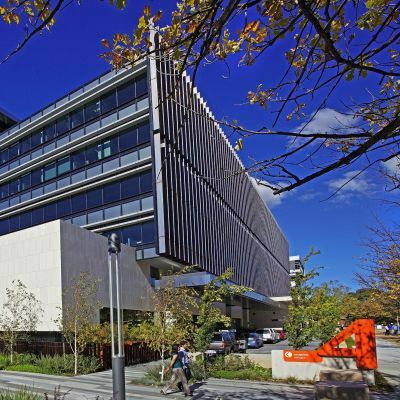 7 London Circuit is an A Grade office building located on the south western fringe of the Canberra CBD. 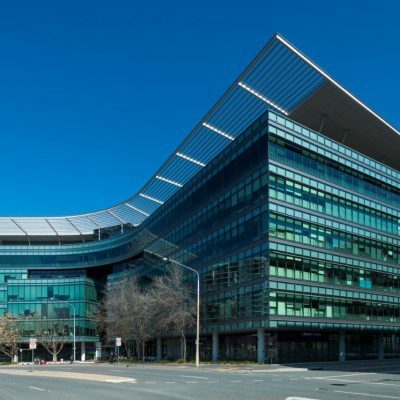 One National Circuit is an A Grade office building located in the Barton office precinct of Canberra. 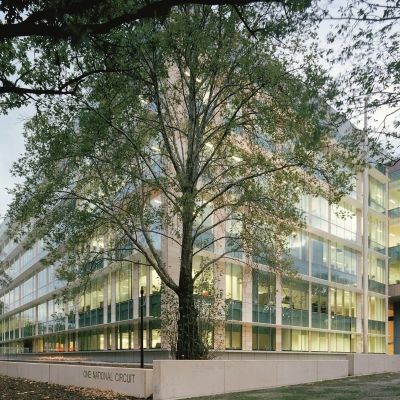 The RM Hope Building is an A Grade heritage-listed office building located in the Barton office precinct of Canberra. 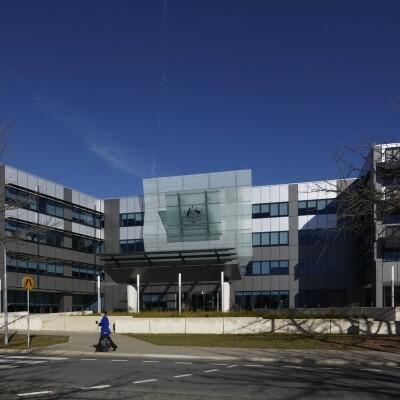 Robert Garran is an A Grade office building located in the Barton office precinct of Canberra. 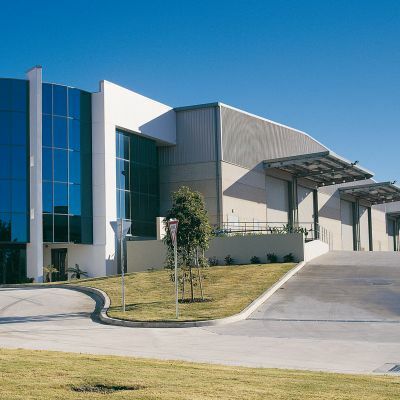 6 National Circuit is a commercial building in the Barton precinct of Canberra. 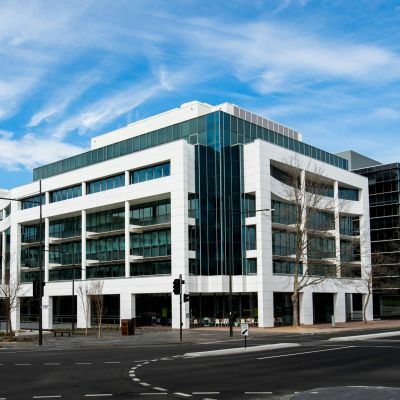 2 Constitution Avenue is a B Grade office building located in the Canberra CBD. 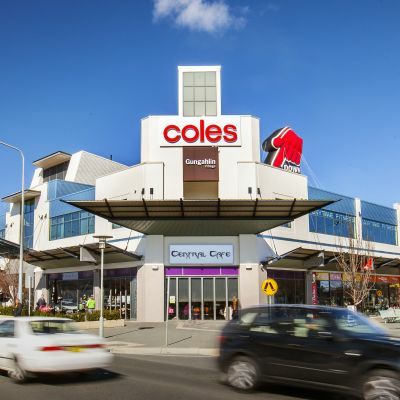 Gungahlin Village is a two level neighbourhood centre anchored by Coles. 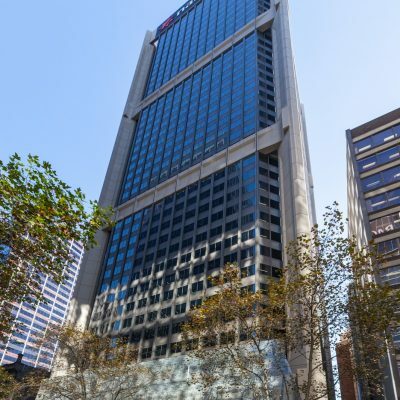 255 Pitt Street is an A Grade office tower in the Hilton Sydney Hotel complex located in the Sydney CBD. 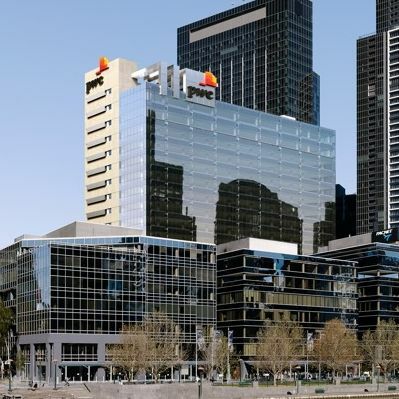 Sydney Central is an A Grade office tower in the Haymarket precinct of the Sydney CBD. 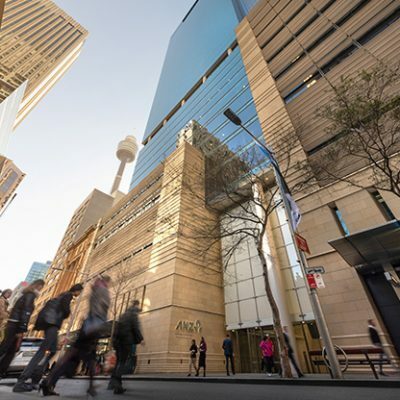 ANZ Tower is a Premium Grade office tower in the Sydney CBD complemented by Liberty Place, a retail and outdoor piazza. 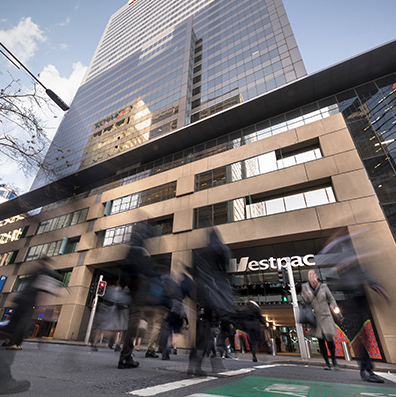 Westpac Place is a 32 level premium office tower in the Sydney CBD. 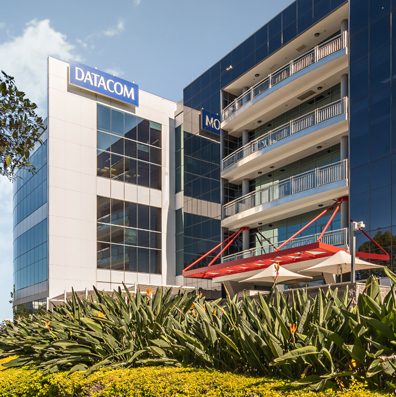 1 Julius Avenue is an A Grade office building located within the Riverside Corporate Park, North Ryde. 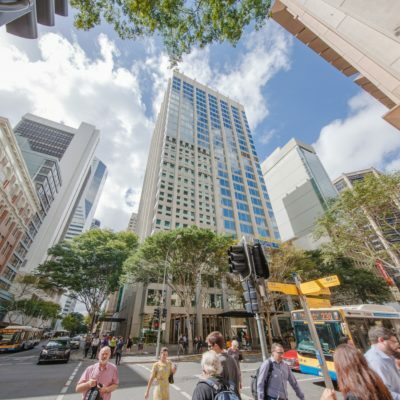 100 Pacific Highway is a modern A Grade office tower located in the North Sydney business precinct. 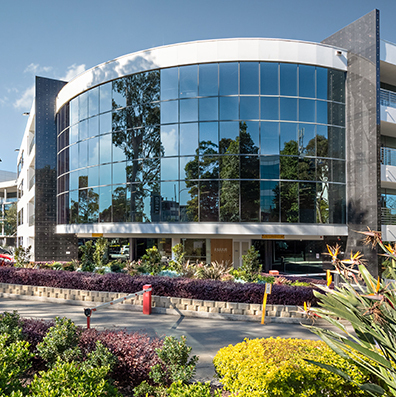 2 Julius Avenue is a B Grade office building located within the Riverside Corporate Park in North Ryde. 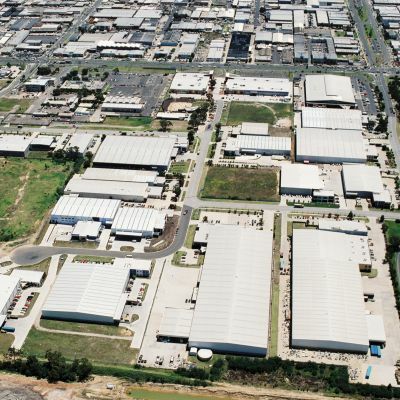 Bessemer Business Park is a 4.8 ha site with a series of industrial buildings located 40 km west of the Sydney CBD. 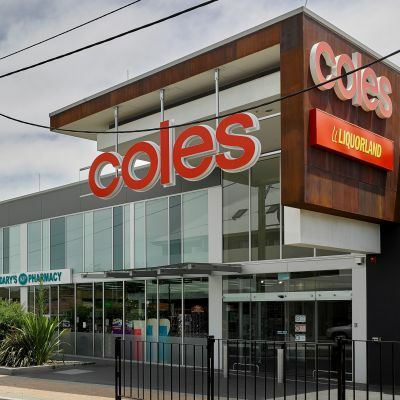 Coles Greenacre is a convenience based neighbourhood centre. 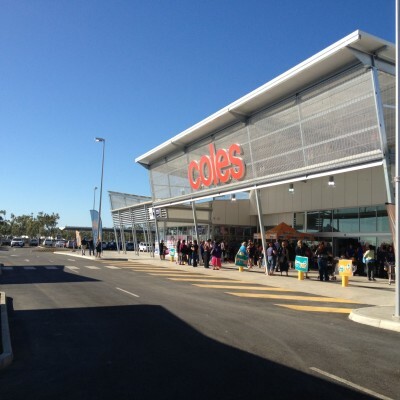 Coles Port Macquarie is a neighbourhood centre anchored by Coles. 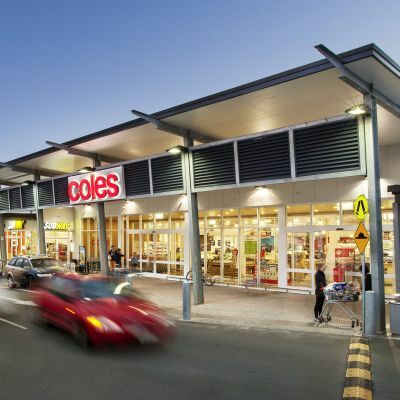 Coles Southgate is a neighbourhood centre anchored by Coles. 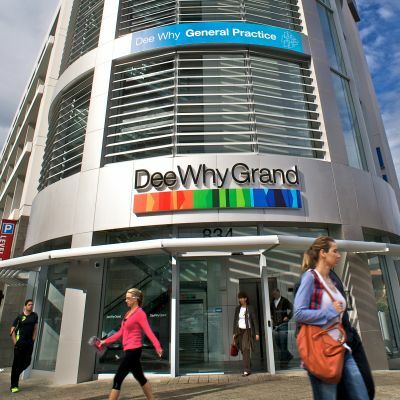 Dee Why Grand is a two level neighbourhood centre. 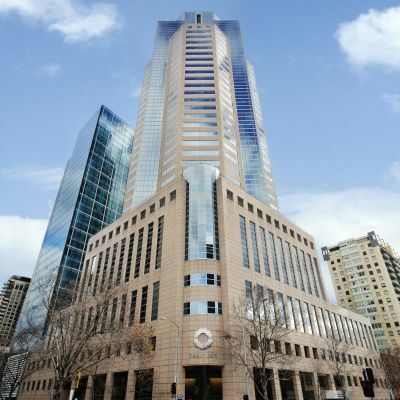 Defence Plaza is a B Grade office tower located in the Sydney CBD. 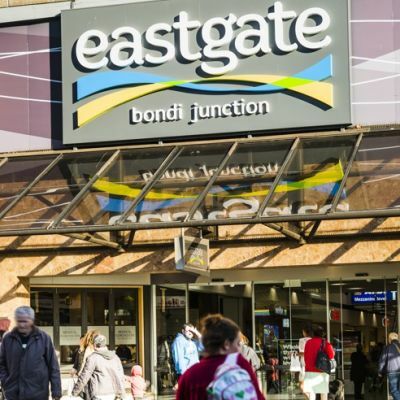 Eastgate Bondi Junction is a sub regional centre anchored by Aldi, Coles and Kmart. 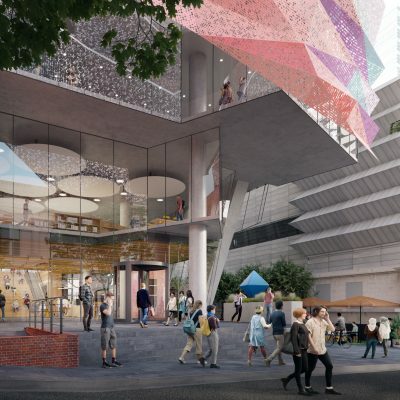 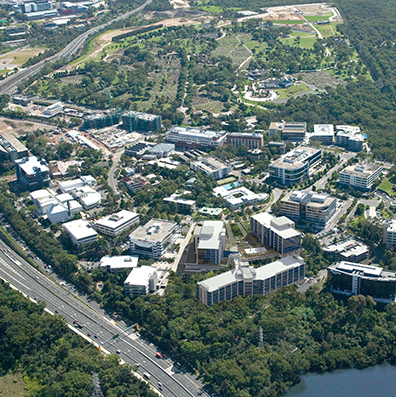 Epicentre is a proposed development of an office park in a campus style setting located in North Ryde. 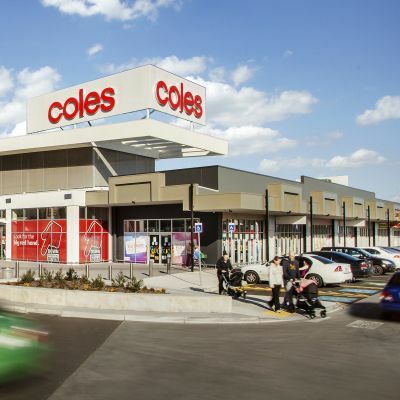 Fletcher Village is a neighbourhood centre anchored by Coles. 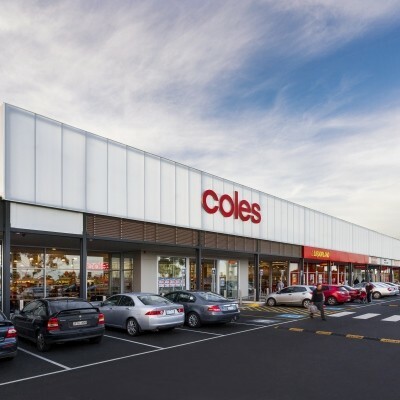 Katoomba Village is a neighbourhood centre anchored by Coles. 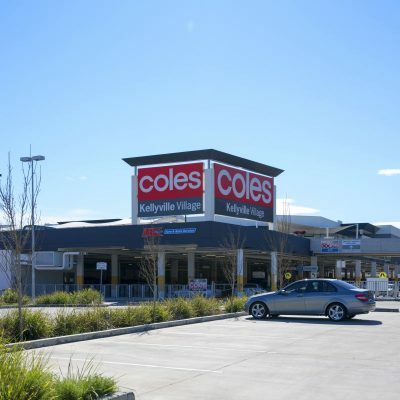 Kellyville Village is a neighbourhood centre anchored by Coles. 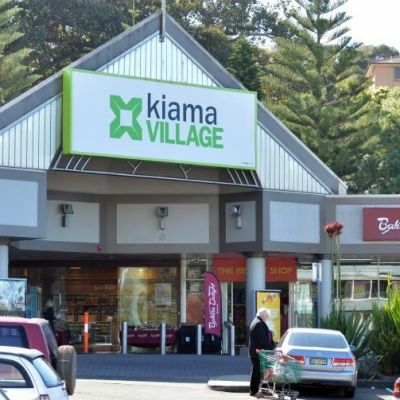 Kiama Village is a convenience based neighbourhood centre anchored by Woolworths. 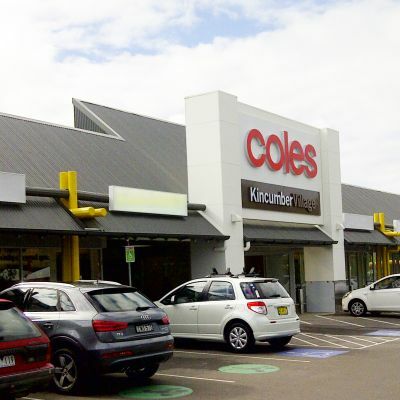 Kincumber Village is a neighbourhood centre anchored by Coles. 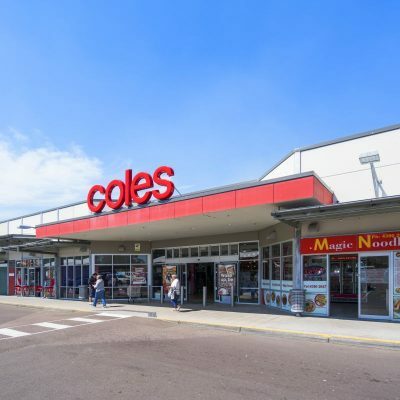 Northlakes Shopping Centre is a neighbourhood centre anchored by Coles. 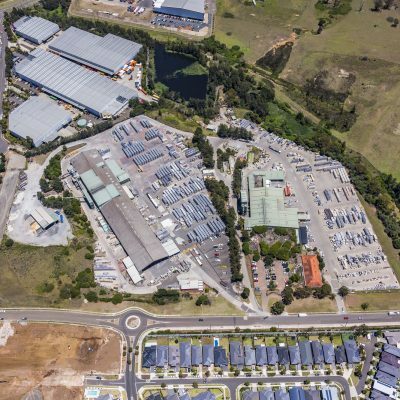 Parklands Estate is a modern industrial park with three distinct properties that form the Estate. 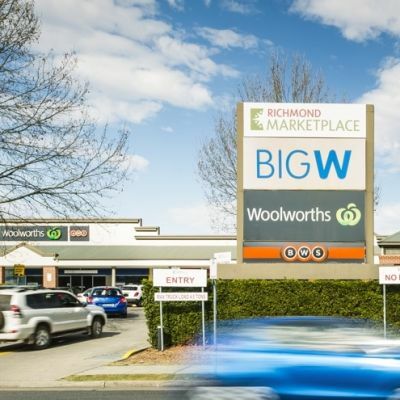 Richmond Marketplace is sub regional centre anchored by Big W and Woolworths. 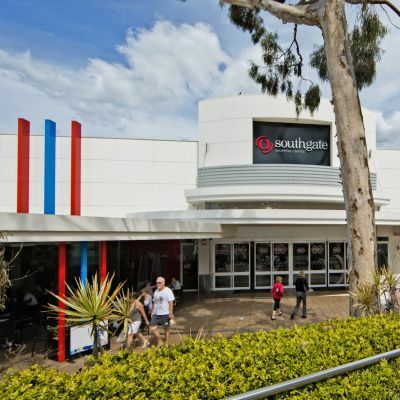 Southgate Shopping Centre is an established sub regional centre anchored by Coles, Kmart and Woolworths. 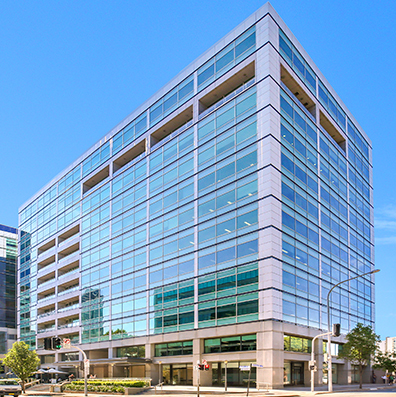 The Barrington is an A Grade office building located in the heart of Parramatta's business district. 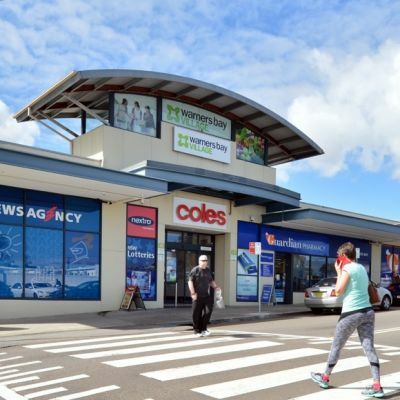 The Ponds Shopping Centre is a neighbourhood centre with a 6 Star Green Star rating. 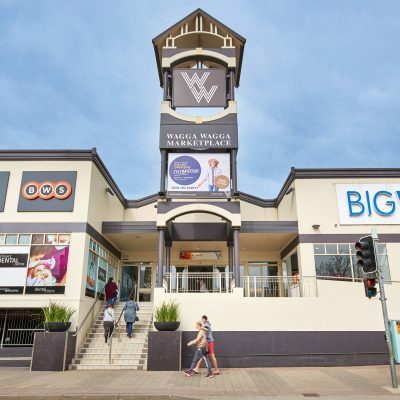 Wagga Wagga Marketplace is a sub regional centre anchored Big W and Woolworths. 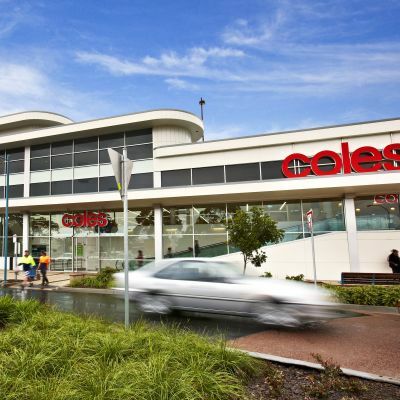 Warners Bay Village is a neighbourhood centre anchored by Coles. 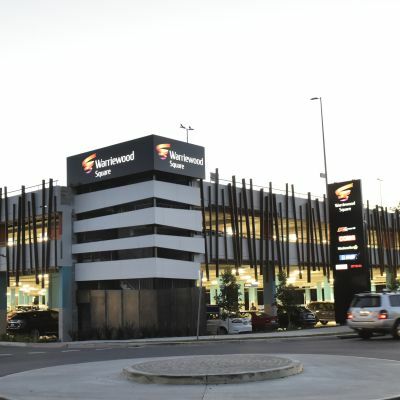 Warriewood Square is a sub regional centre anchored by Coles, Kmart and Woolworths. 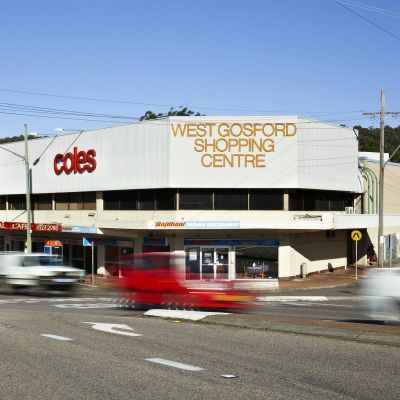 West Gosford Shopping Centre is a neighbourhood centre anchored by Coles. 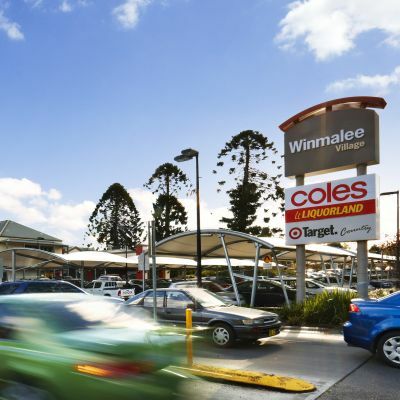 Winmalee Village is a two level neighbourhood centre anchored by Coles. 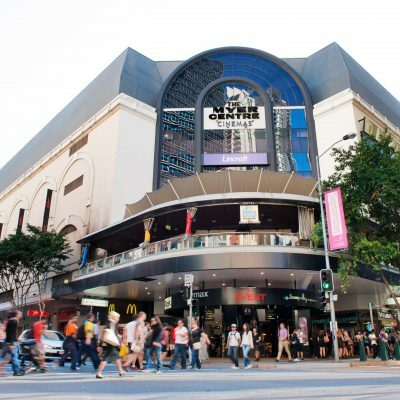 World Square, the second largest centre in the Sydney CBD. 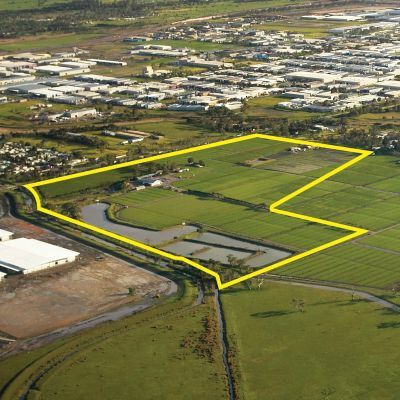 44 Clunies Ross Street is a 12.9 hectare brownfield parcel of industrial zoned land. 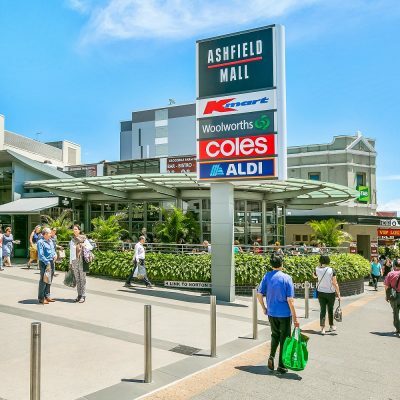 Ashfield Mall is a sub-regional shopping centre with three anchor supermarkets. 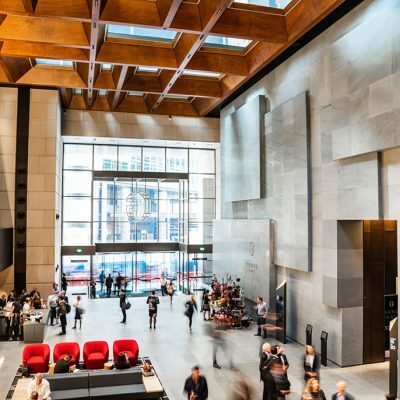 George Place is a located in the heart of Sydney’s CBD, with a striking super lobby connecting the communities of three buildings. 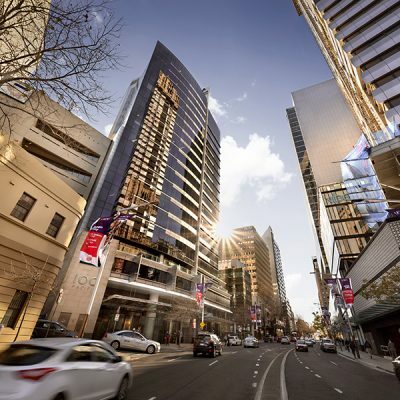 The development at 1 William Street will be commercial tower in the Government precinct of the Brisbane CBD. 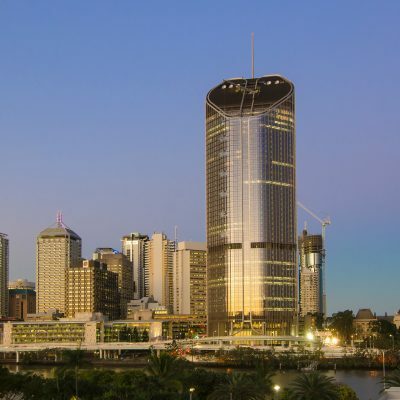 100 Creek Street is a contemporary A Grade office tower in the heart of the Brisbane CBD. 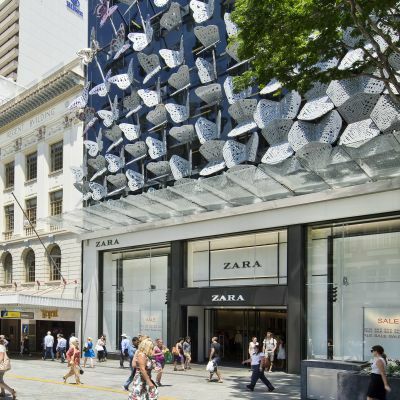 The redeveloped 155 Queen Street has a three level Zara flagship store. 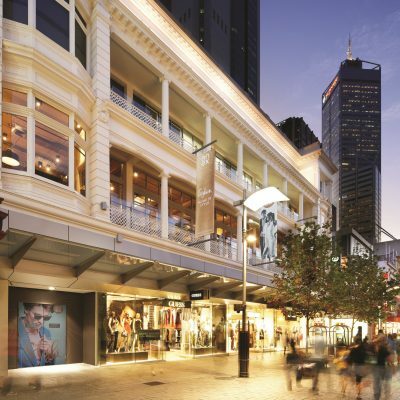 170 Queen Street is a retail centre located on the Queen Street Mall. 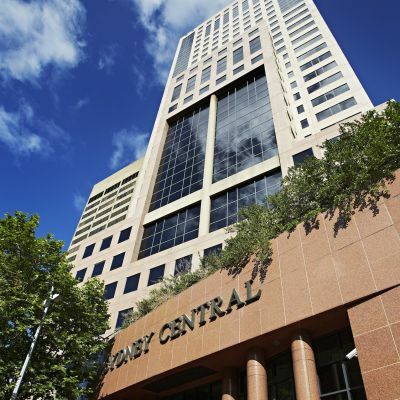 Central Plaza is an A Grade office tower location in the 'Golden Triangle' of the Brisbane CBD. 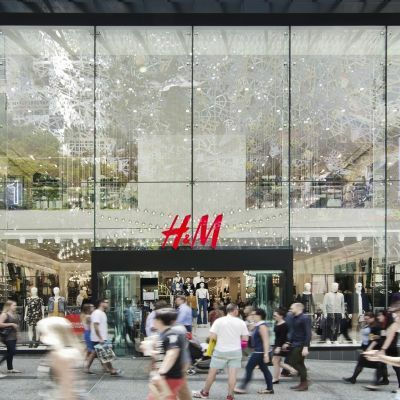 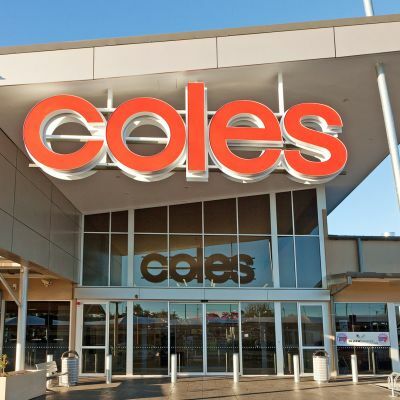 The Myer Centre is anchored by Coles, Myer and Target. 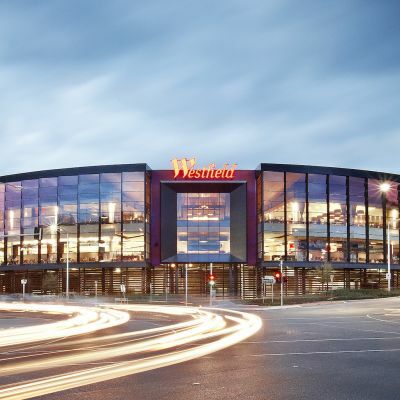 Wintergarden houses over 60 retailers representing a range of fashion, lifestyle and beauty services and a foodcourt. 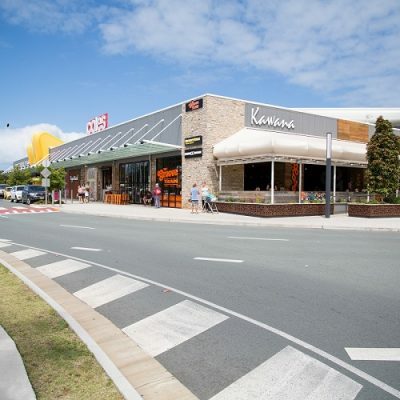 Kawana Shoppingworld is a Sub-regional Centre is located in Buddina on Queensland’s Sunshine Coast. 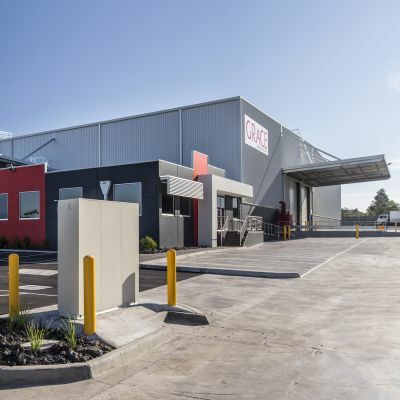 250 South Pine Road is a 9.7 ha site with two buildings located 23 km north of the Brisbane CBD. 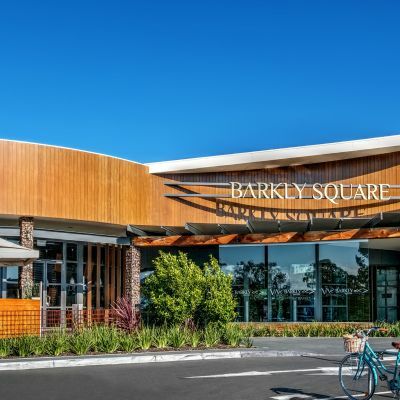 Bracken Ridge Plaza is an established neighbourhood shopping centre. 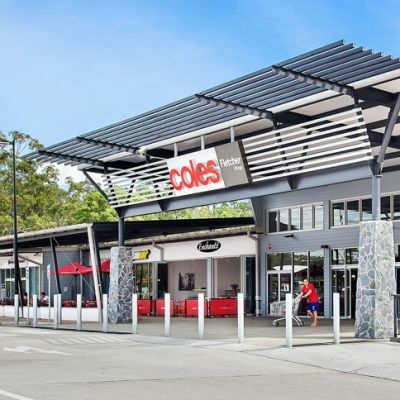 Coolum Village is a convenience-based neighbourhood centre anchored by Coles. 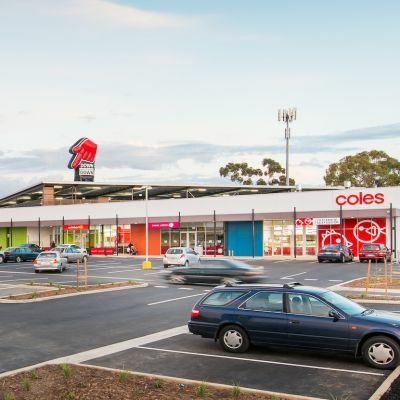 Deeragun Village is a neighbourhood centre anchored by Coles. 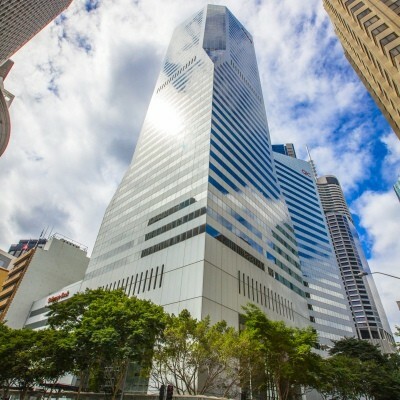 Green Square North Tower is part of the Green Square precinct, 1 km from the Brisbane CBD. 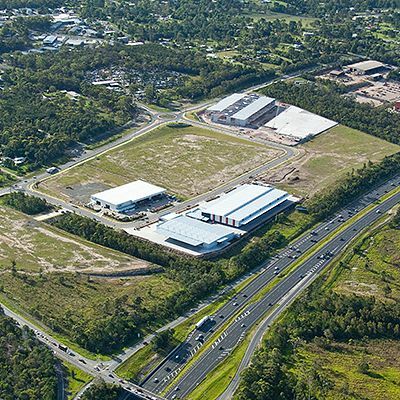 Interchange Industrial Estate is a 10.4 ha site with an industrial subdivision located 30 km north of Brisbane. 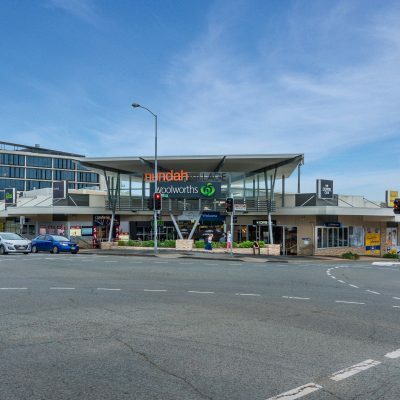 Lutwyche City will be a triple supermarket anchored neighbourhood shopping centre. 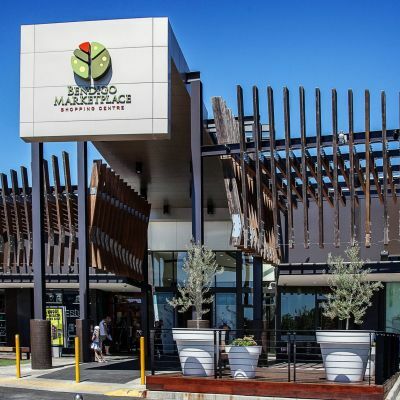 Mango Hill Market Place is a metropolitan neighbourhood shopping centre. 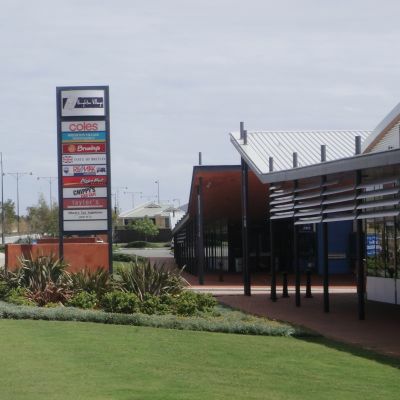 Mt Isa Village is a sub regional centre anchored by Coles and Kmart. 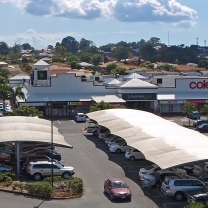 Nundah Village is a metropolitan Neighbourhood centre. 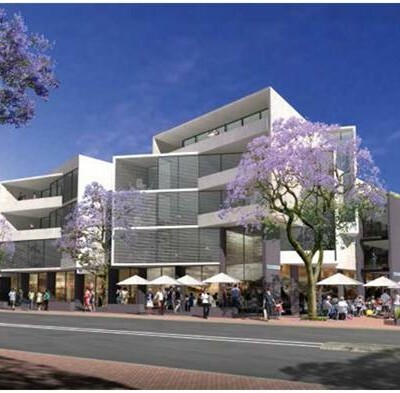 Silkstone Village is a neighbourhood centre 2km from the Ipswich CBD. 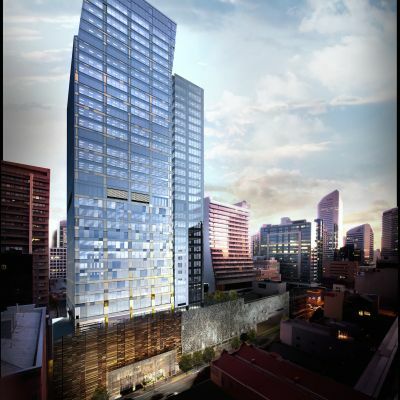 The Regent is a proposed 40 storey office tower that will front Elizabeth Street in the Brisbane CBD. 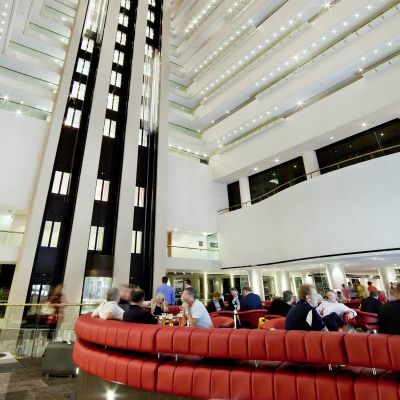 The Hilton Hotel in Brisbane is a 5-star luxury hotel in the heart of the Queen Street Mall. 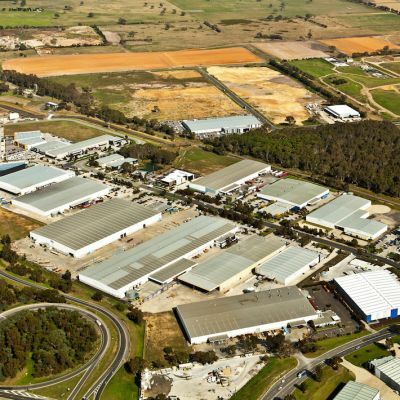 Charles Sturt Industrial Estate is a 23.2 ha site with an industrial business park north west of Adelaide. 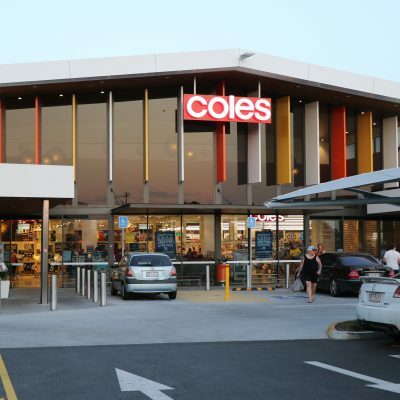 St Clair Village is a neighbourhood centre anchored by Coles. 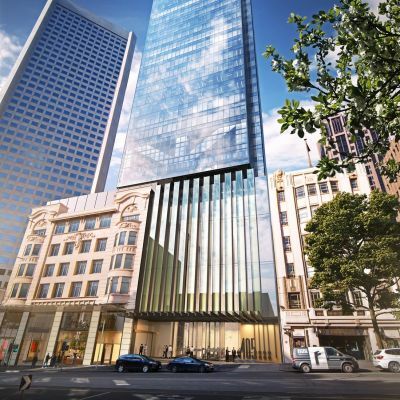 271 Spring Street is a $110 million office tower being developed in Melbourne. 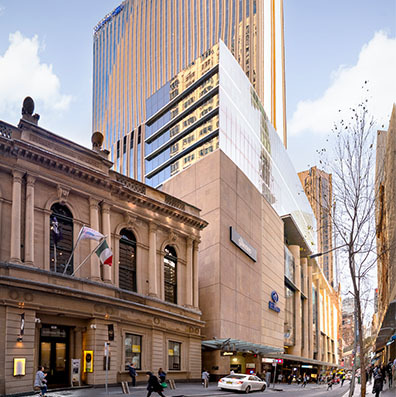 447 Collins Street is a development site located in the Melbourne business district. 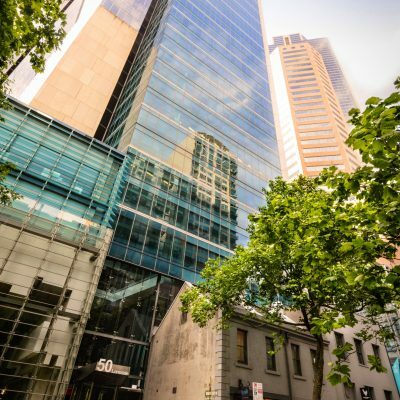 50 Lonsdale Street is an A Grade commercial building in the Parliamentary precinct of the Melbourne CBD. 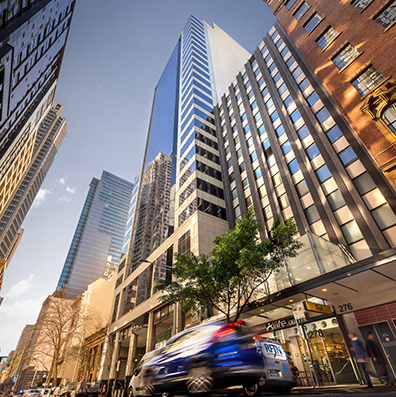 500 Bourke Street is an A Grade office tower fully refurbished in 2009 and located in the Melbourne CBD. 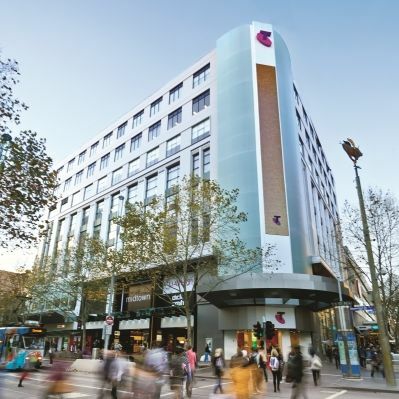 Casselden is a modern A Grade commercial building located in the Parliamentary precinct of the Melbourne CBD. 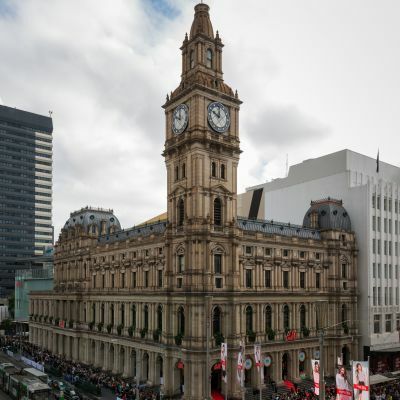 Melbourne's GPO is a heritage-listed building in the heart of Melbourne's CDB retail precinct. 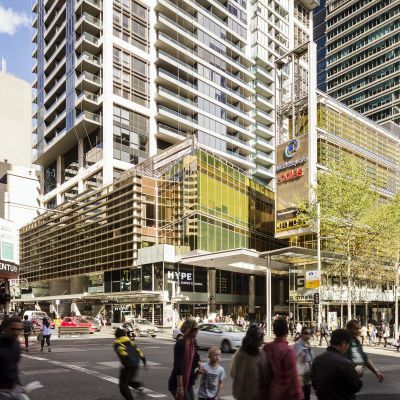 Midtown is an art deco building located on one of Melbourne's most prominent retail corners. 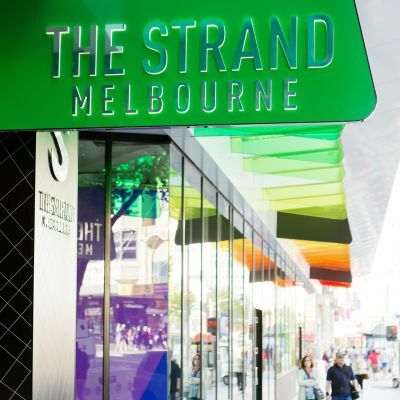 The Strand Melbourne completed a redevelopment in 2014 and offers a mix of fashion and lifestyle retailers. 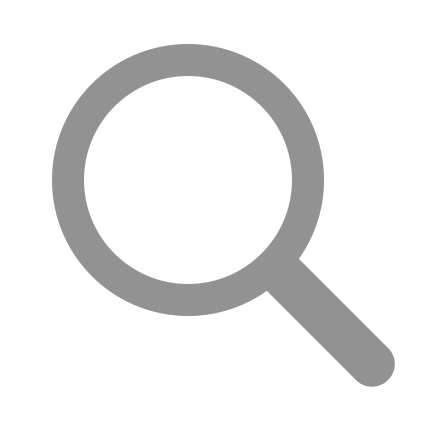 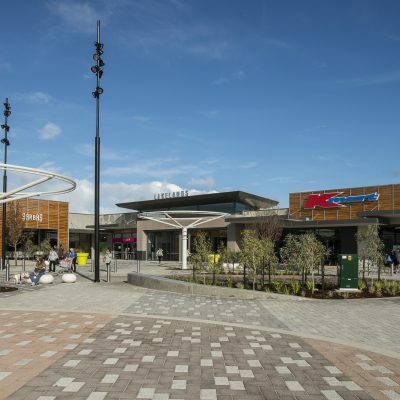 Westfield Doncaster is a modern super regional shopping centre in the north eastern suburbs of Melbourne. 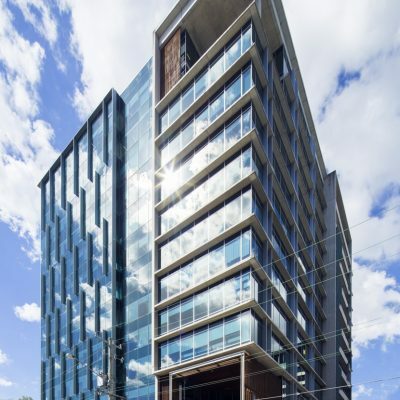 2 Riverside Quay is an A Grade commercial building located in Southbank adjoining the Melbourne CBD. 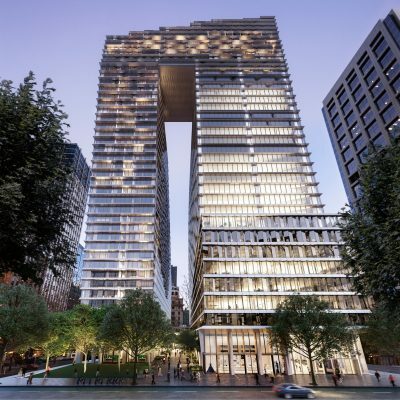 405 Bourke Street is a development for a 39 level office tower. 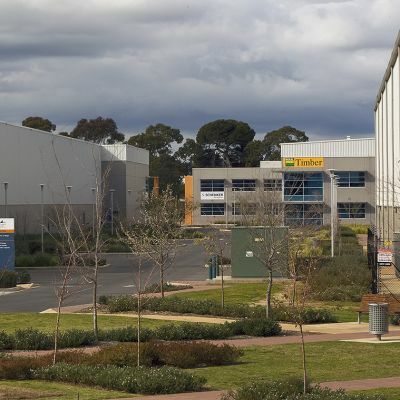 85 William Angliss Drive is a 21.8 ha site with a distribution warehouse in the Angliss Industrial Estate in Laverton. 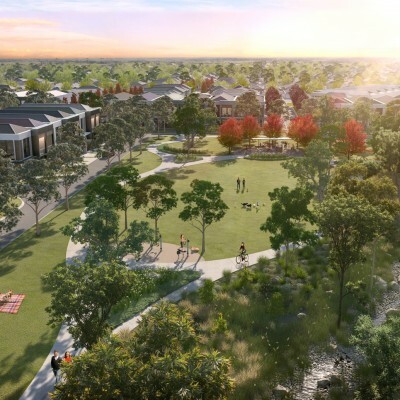 Ascot is a 27 ha site being redeveloped into a mix of residential, retail, recreation and community uses. 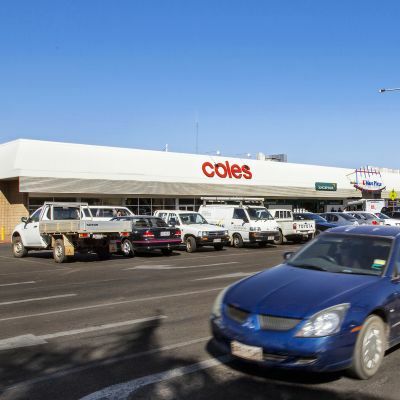 Barkly Square is a sub regional centre anchored by Coles, Kmart and Safeway. 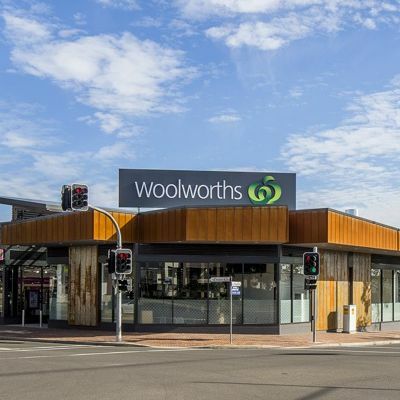 Bendigo Marketplace is a sub regional centre anchored by Big W and Woolworths. 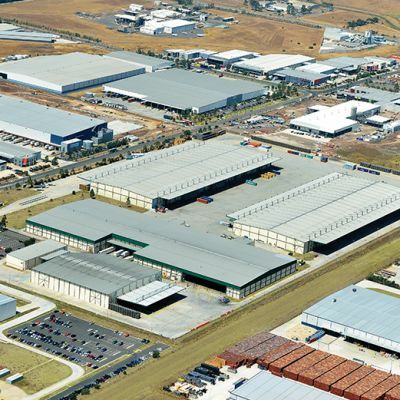 Central West Industrial Park is a 19.9 ha modern industrial park located 8 km west of the Melbourne CBD. 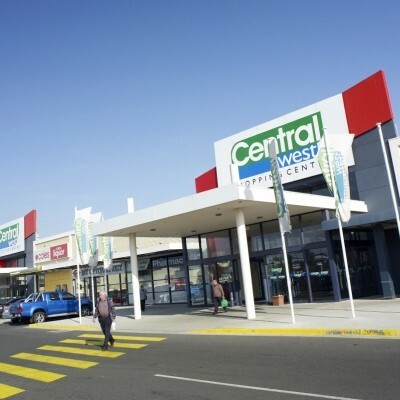 Central West Shopping Centre is a mixed-use property anchored by Aldi and Coles. 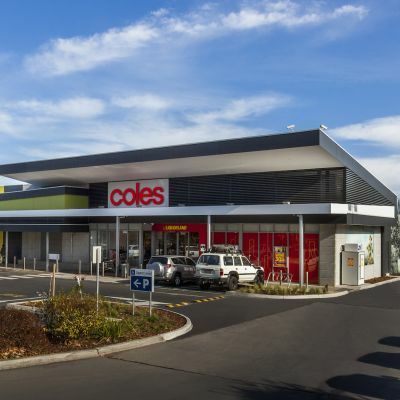 Coles Brighton comprises a modern standalone Coles supermarket and Liquorland. 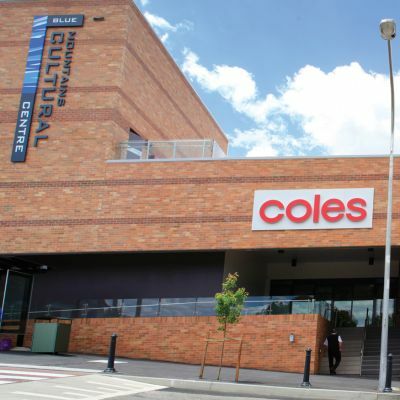 Coles Mill Park is a modern neighbourhood centre anchored by Coles. 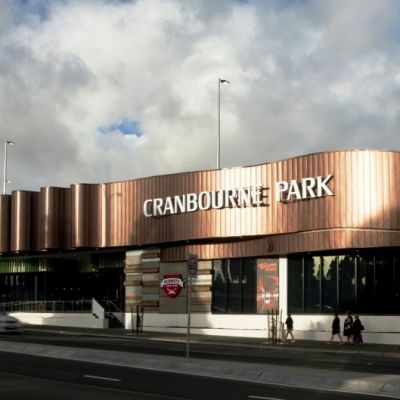 Cranbourne Park is a sub regional centre anchored by Coles, Harris Scarfe, Kmart Target and Woolworths. 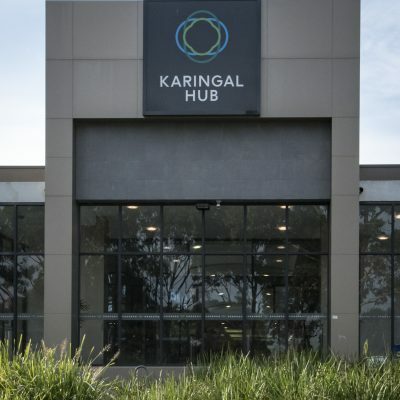 Karingal Hub is a regional centre anchored by Big W, two Woolworths supermarkets and a Village Cinemas. 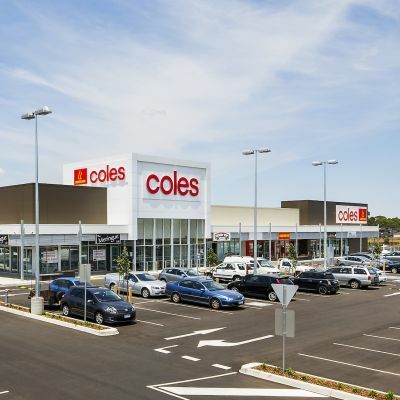 Lilydale Village is a neighbourhood centre anchored by Coles. 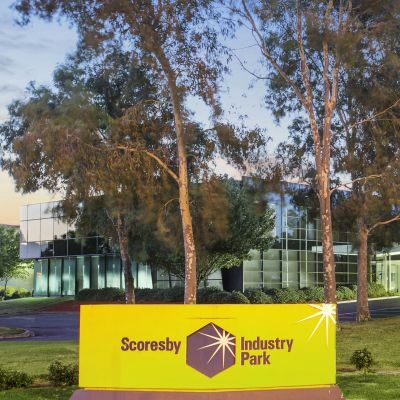 Lot 2 of the Scoresby Industry Estate comprises four substantial, premium grade distribution and office facilities. 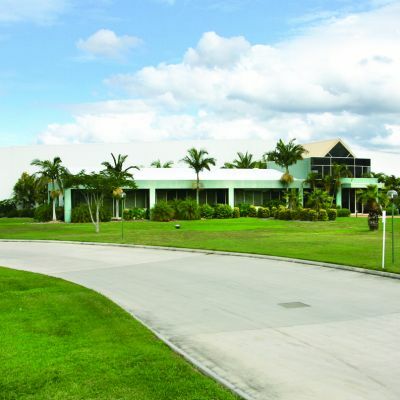 The Pellicano Property Trust 1 holds the Karkarook Property Fund Trust which owns the Parkview Industrial Park. 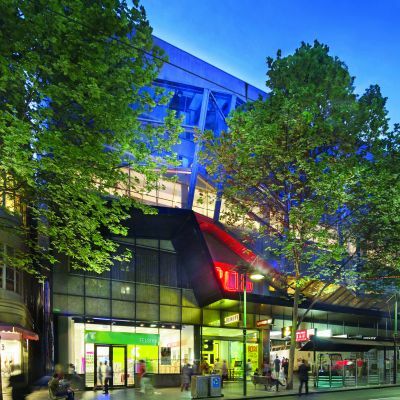 The Pellicano Property Trust 1 holds the M2 Property Fund Trust with 24 properties to the east of Melbourne. 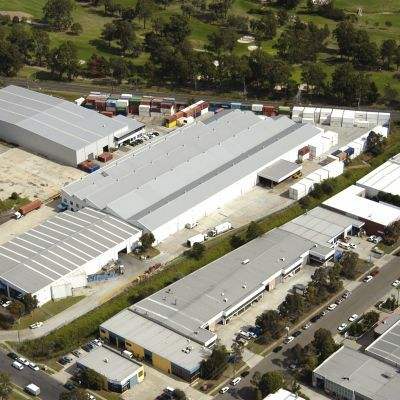 The Pellicano Property Trust 4 owns an industrial development site located in Lyndhurst, south east of the Melbourne CBD. 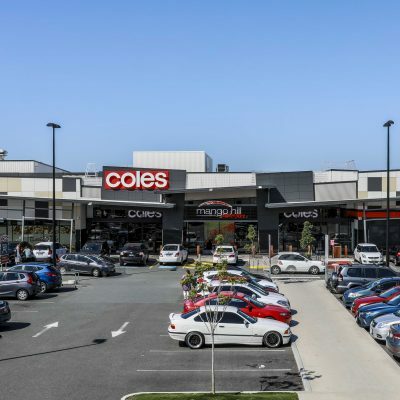 Showgrounds Village is a neighbourhood centre anchored by Coles. 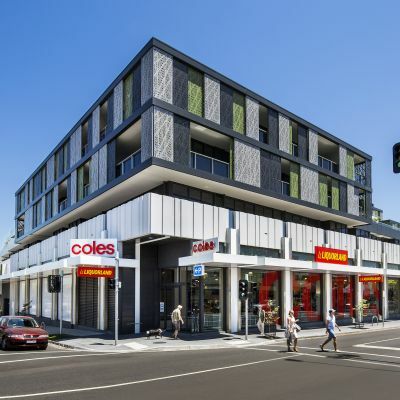 Tarneit West Village is a neighbourhood centre anchored by Coles. 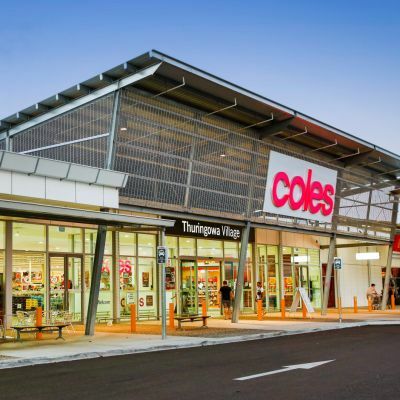 Taylors Hill Village is a neighbourhood centre anchored by Coles. 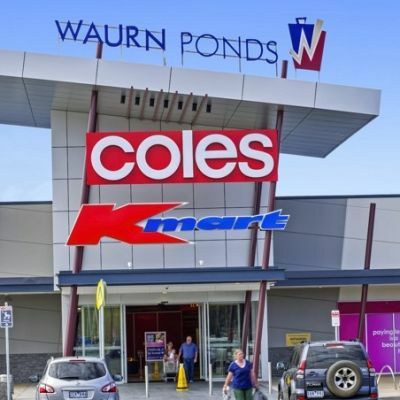 Waurn Ponds Shopping Centre is a sub regional centre anchored by Coles, Kmart, Target and Woolworths and Reading Cinemas. 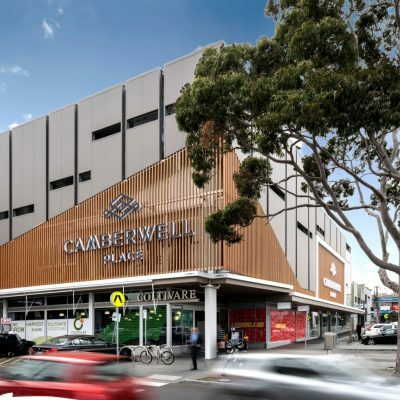 The Well, Camberwell, is a convenience based neighbourhood shopping centre . 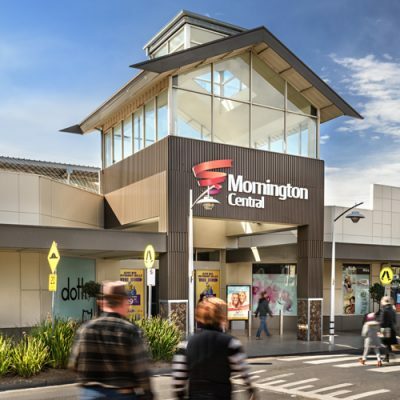 Mornington Central a fully enclosed sub regional shopping centre. 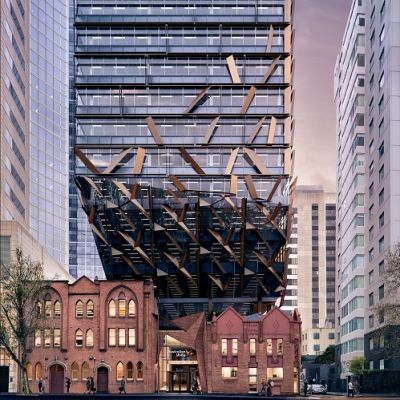 ISPT has partnered with Victoria University to develop a new 32-storey vertical campus in the Melbourne CBD. 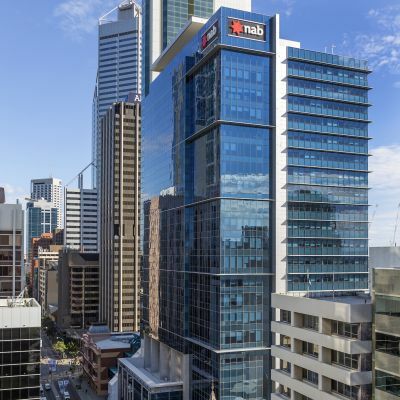 100 St Georges Terrace is a Premium Grade office building in the heart of the Perth CBD. 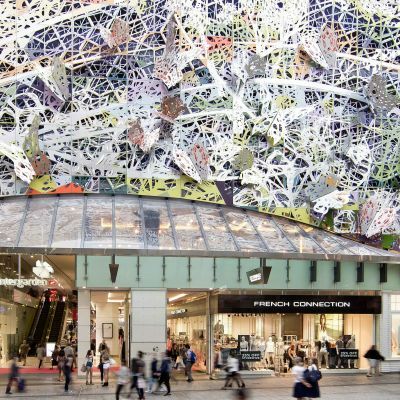 enex is a contemporary three level fashion and food centre located on the Hay Street Mall. 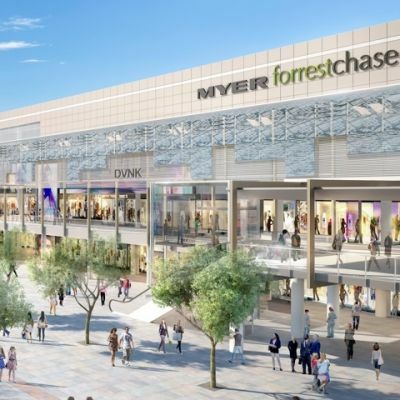 Forrest Chase is a five level retail complex anchored by Myer. 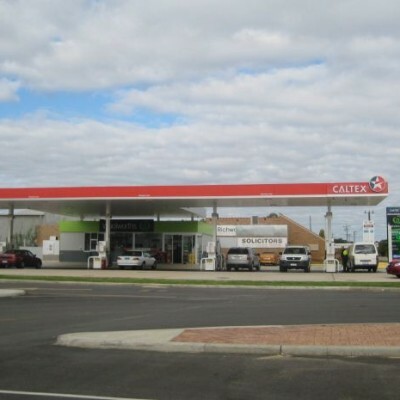 The property at Burslem Drive Maddington is a Caltex Woolworths Petrol Station. 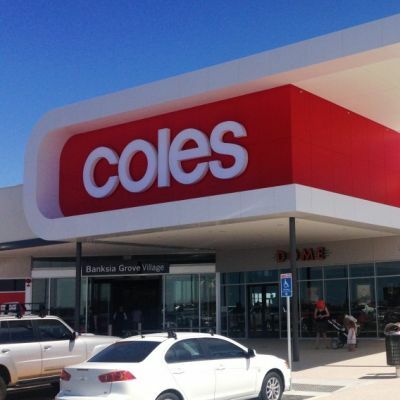 Banksia Grove Village is a neighbourhood centre anchored by Coles. 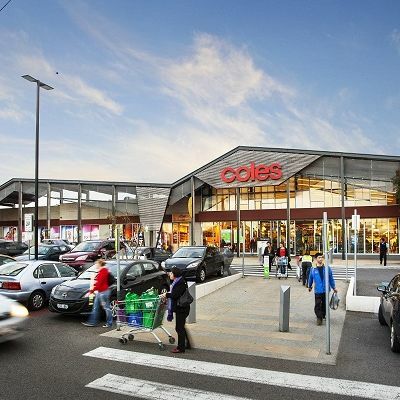 Beeliar Village is a neighbourhood centre anchored by Coles. 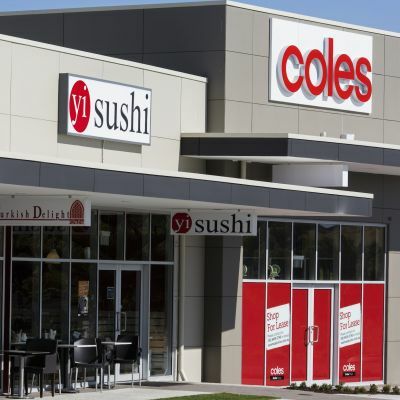 Brighton Village is a neighbourhood centre anchored by Coles. 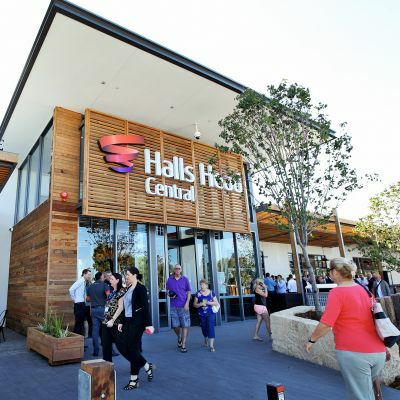 Halls Head Central has completed a redevelopment in 2016. 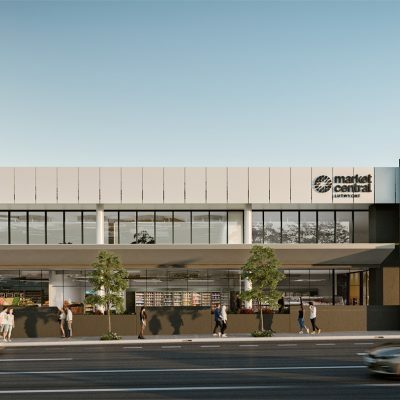 Lakelands Shopping Centre is under development due for completion in 2017. 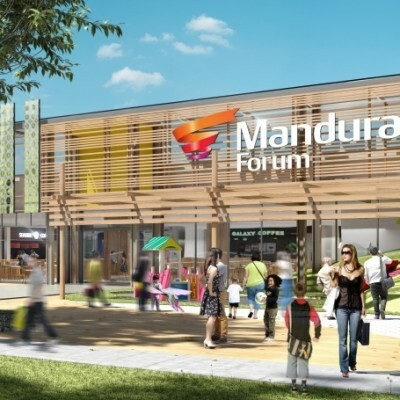 Mandurah Forum is a regional centre and has undergone a revitalisation. 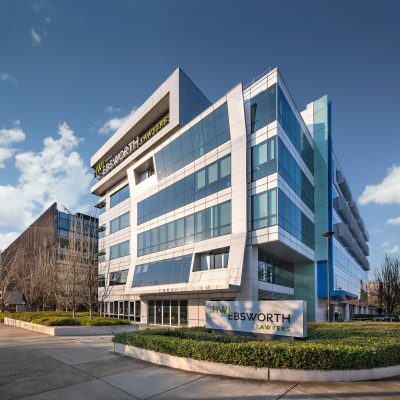 North One is a residential development of 88 apartments with commercial, medical and retail space. 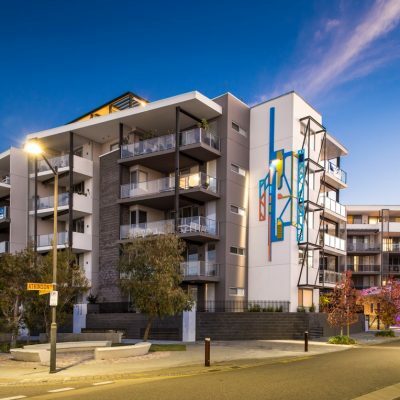 Viridian and Indigo is a residential development located in Subiaco, west of the Perth CBD.